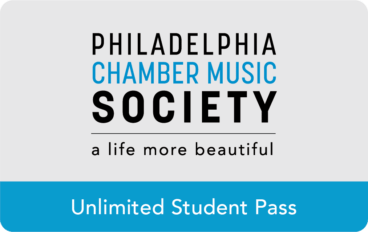 Attend as many concerts as you like, on your schedule, with our Full Season Concert Passes for students and young friends. For a one-time payment, pass holders can attend any and all of our 50 concerts that are not sold out—enjoying unlimited access and maximum flexibility. 1. Purchase your Unlimited Student Pass or Young Friends Pass. Of course! Student tickets to individual concerts are available for $10 each (subject to availability). We also offer full-season passes for all audiences. Not sure which option is best for you? Contact us at 215-569-8080 or [email protected]. Whether or not you are a season pass holder, be sure to join our popular Young Friends program for access to last minute FREE tickets and special offers. We never share your email address with anyone, ever. We need to know this, just in case you're way older than a "young" friend should be! 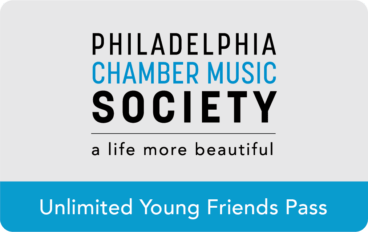 To chat with other young friends, discover happenings around Philadelphia, and share things which make life more beautiful, check out our Young Friends Facebook Group!